Our weekend at Werribee will consist of lessons in dressage, cross country and Showjumping. Whilst there is a one day option, preferences will be given to those doing both days. Coaches confirmed so far are Charlotte Pederson, Scarlett, Catherine Davies, Rachelle Wilson, Nina Clarke, Emily Anker & Will Enzinger. All SJ coaches are off doing other things this weekend so SJ lessons will be shared between Emily, Will & Nina. If you have any requests around times please put them in the notes & we will attempt to accommodate them...once the timetable is published it is very hard to make changes. If you don't have your coach preferences in by 25 April, we possibly may not be able to accommodate you. Please note we will not be able to accommodate horses for Showjumping that are not capable of jumping 95cm. If we don't have sufficient registrations to cover the cost of the clinic by 25 April, we will open up places for Development Squad riders. All applications will close on Monday 29 April. In the last few years our Squad charges have remained the same despite our costs increasing. 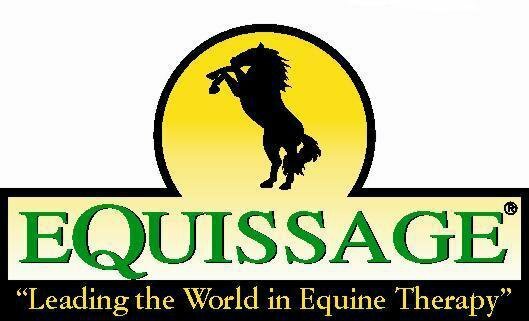 The way we make up the short fall is through registration fees and sponsorship ... thank you to Prydes and Equissage. We have a registration fee that is paid at the start of each financial year and we are now offering a pro rata rate for the next six months of $20 if you are not currently on the Development list or Prydes Senior/Young Rider list. As of June 2019 the criteria for Young Rider Squad will be 3 MERS at 1*, (formerly EvA105) & Senior Squad will be 3 MERS at 2*, (formerly 1*). For the next six months it will remain at 1 MER at the appropriate level. Over the past few months we have had a review of out Squad program. The attached document outlines the dates for the first half of 2019 so please mark them in your diary. As you may know the Development Squad has grown beyond our expectations and we felt the criteria around our Young Rider and Senior Squad needed to tighten up. It is our intention to run 2 Squad weekends for Development, one in January and one in July. In between these weekends we will either run or direct the Development riders towards cross country training as this is what most of them need as a priority. We have a tentative date in March (16/17) for a XC Squad. It is important to keep the connection with these riders so they feel they can approach us for help at any stage. The Equissage Young Rider and Prydes Senior Squad will have more Squads and be more selective after June 2019. In announcing the criteria now we hope to give riders the opportunity to work towards the 3 x 1* (formerly 105) for YR and 3 x 2* formerly (1*) required for Seniors. I find I have less time to run these programs and we all need a succession plan so EV have engaged Vanessa Mattiazzo to work with me. I am looking forward to introducing Vanessa to everyone soon.